Risk Based Pricing Solutions for auto dealers. The Federal Trade Commission (FTC) began enforcement of the Risk-Based Pricing Rule on January 1st, 2011. This rule affects all car dealerships that pull credit reports on consumers, and failure to comply can result in heavy fines. 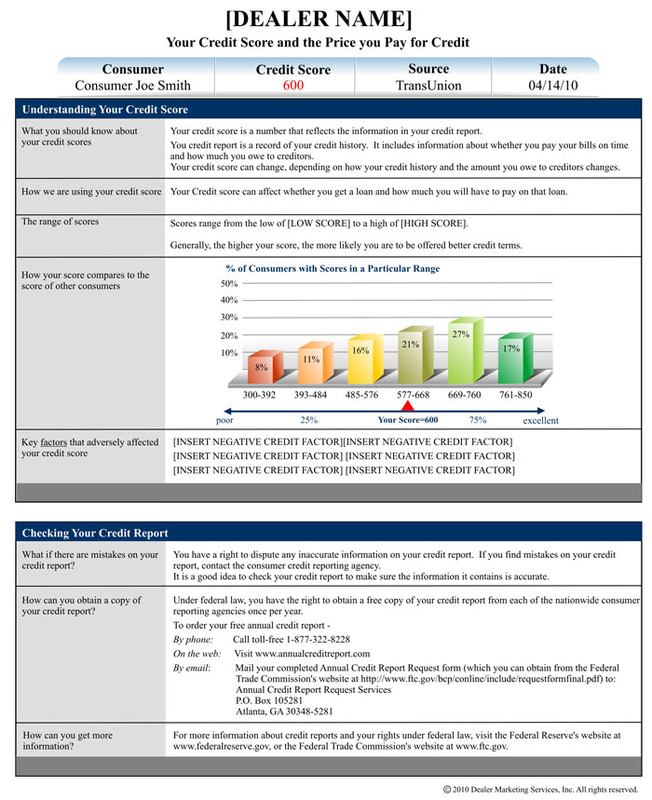 Under the Risk-Based Pricing Rule, your dealership is required to present a notice to each consumer that has a credit report pulled. The notice must include their credit score, if they have one, and other information including key factors that may have adversely affected their score. ProMax has designed a solution based on NADA and NIADA recommendations that fits seamlessly into your sales process. When you pull credit reports in ProMax Unlimited or ProCredit Express, a Risk-Based Pricing Exception Notice is immediately generated. This Exception Notice is easy to read and understand, and fulfills all of your compliance requirements. If, for whatever reason, the notice is not printed or e-mailed while the customer is in the dealership, ProMax defaults to the Failsafe Automated Compliance Option. What is the Failsafe Automated Compliance Option? The Failsafe Automated Compliance Option is the ProMax solution that makes sure no customers slip through the cracks. If a customer leaves the dealership without receiving a printed Exception Notice or having one e-mailed to them, we will automatically send a paper copy to them, along with a cover letter explaining what the notice is and why they are receiving it. Not only does this letter satisfy your compliance requirements, it serves as a written follow-up to unsold showroom traffic. What if my dealership is audited? ProMax has you covered. 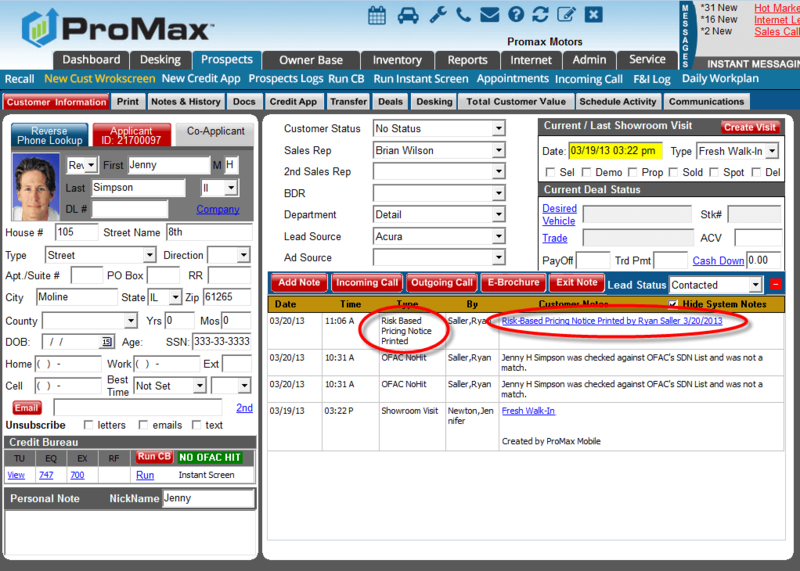 When the Exception Notice is either printed, e-mailed, or mailed to the customer, a note is added to the Customer Workscreen in ProMax. The note is dated and time-stamped, and specifies what action was taken, and by whom. Included in the note is a link to the Exception Notice itself for later review. Additionally, all Exception Notice activity is available for review in the Risk-Based Pricing Report. Complete a Compliance Request or call today for a full demo on why the ProMax Compliance Solution beats the competition!